The yarn is what makes this crochet hat special. The hat pattern is designed for use with Boutique Unforgettable, a really fun color-rich yarn from Red Heart, although it could be worked with any variegated worsted weight yarn that you like. This is a one-skein crochet hat pattern which is great for the budget and for quick crafting. The best thing about this crochet hat pattern is how incredibly versatile it is. This is a completely unisex design offered in four adult sizes, crocheted with chunky yarn to make it extra warm. Instructions include information for making this a classic crochet beanie or alternatively a crochet slouch hat. The crochet hat is defined by the three colored stripes it includes. You can switch up the colors to make this hat uniquely your own. Based on color choices this hat could look more like a…MORE holiday hat, a team spirit hat or an everyday hat. 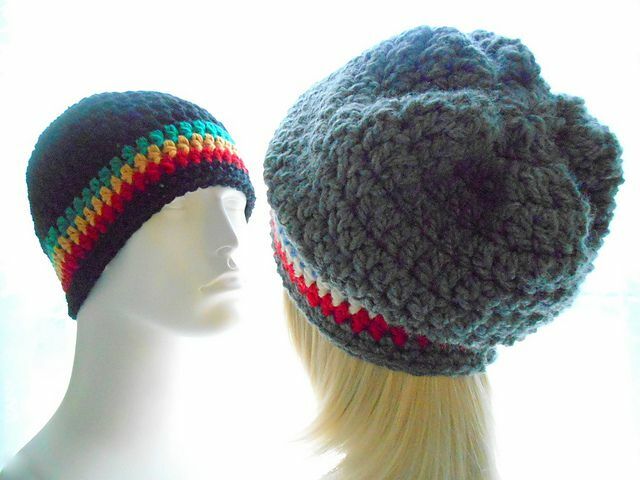 Here is another chunky unisex crochet hat pattern. This one has more of a classic winter design thanks to the pom pom on top. It works up super quickly, with only 12 rounds for the largest size, so it is great as a last minute gift. Despite that, this hat is anything but boring. It uses a combination of front loop only and back loop only stitches to create original ribbing and texture that adds to the coziness while enhancing the design. 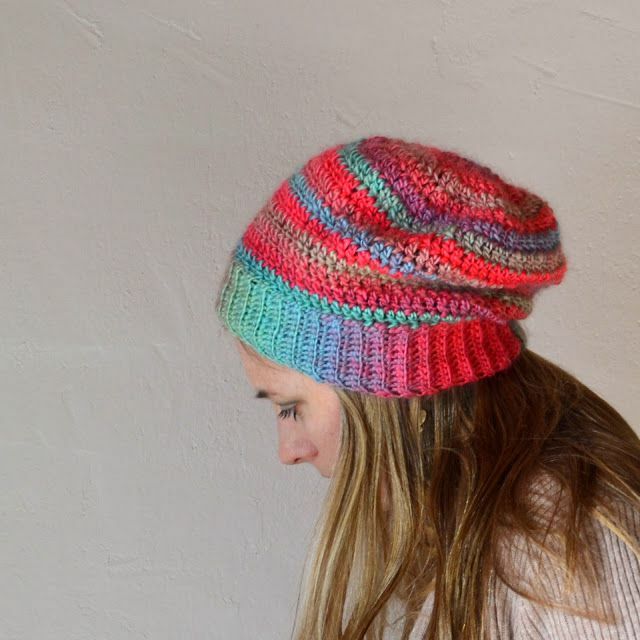 The stitch pattern used to create this crochet hat gives a feeling of a floral design, which is something that you don’t usually see on winter hats. It works perfectly, especially combined with the faux fur pom pom on top and a spring color palette. This crochet hat pattern can be adjusted to fit like a beanie or more like a slouchy hat. 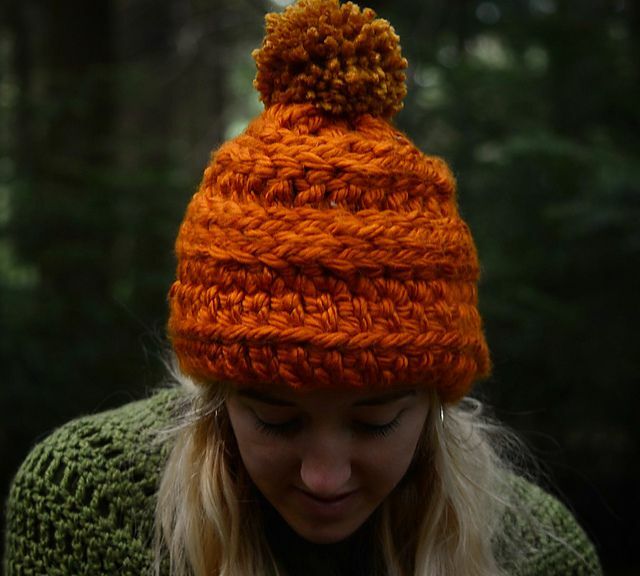 Cabled hats are perfect for winter because they have rich texture that keeps your ears and head really warm. 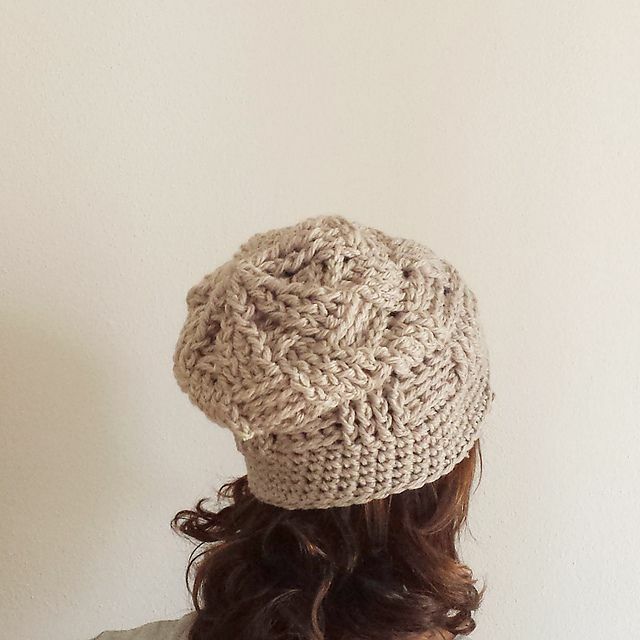 You often see them made with knitting but this hat pattern offers you the opportunity to practice cabling in crochet. In fact, when you purchase the pattern, you also get access to a video tutorial that takes you step-by-step through the crochet cables in case you aren’t comfortable with them. A beginner to this technique could easily learn how to create terrific crochet cables using…MORE this pattern. 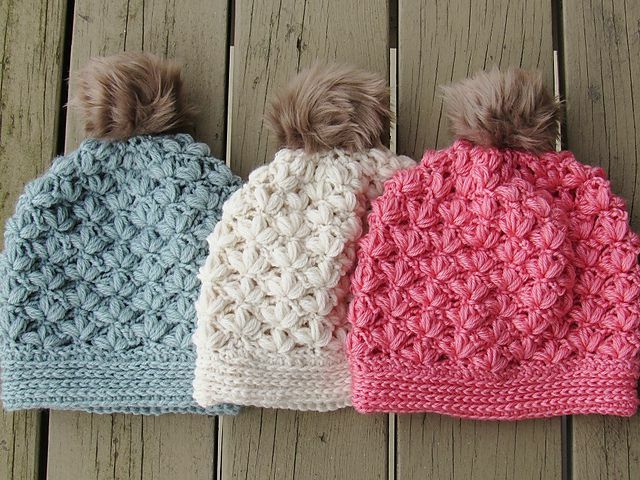 The basketweave stitch is another great crochet stitch for winter hats. It is one of those stitches that is fun to craft – simple and meditative in a way but not boring thanks to the post stitches used to create it. If you are unfamiliar with basketweave stitch, that’s okay, because this free crochet pattern comes with a video tutorial to learn it. This is a slouchy crochet hat made in chunky yarn. The free pattern is written in both Italian and English. 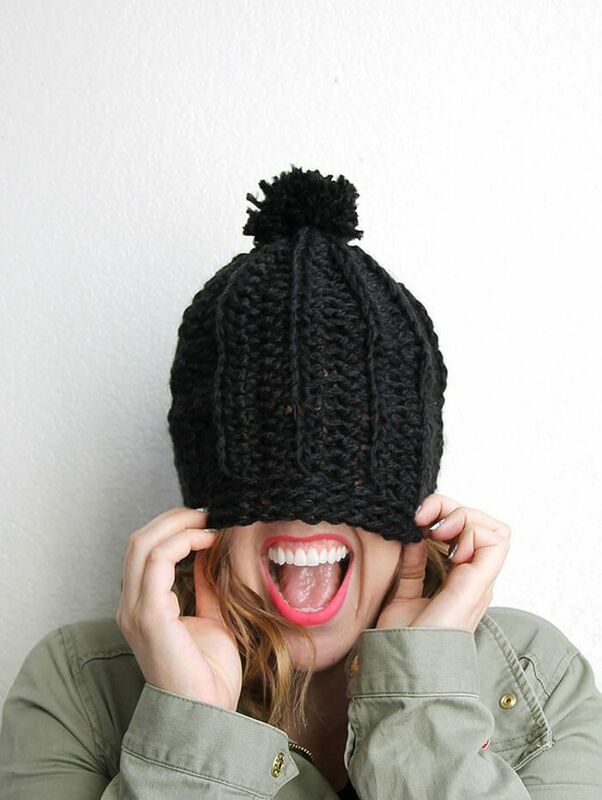 Get comfy and cute with this crochet winter hat that uses puff stitches strategically to add texture to the design. Other stitches used in this hat include the basics (single, half double and double crochet) as well as some post stitches. The pattern includes an abbreviated version for people who are comfortable reading crochet patterns as well as a more in-depth photo-rich version for crafters who need a little bit more help with this design. 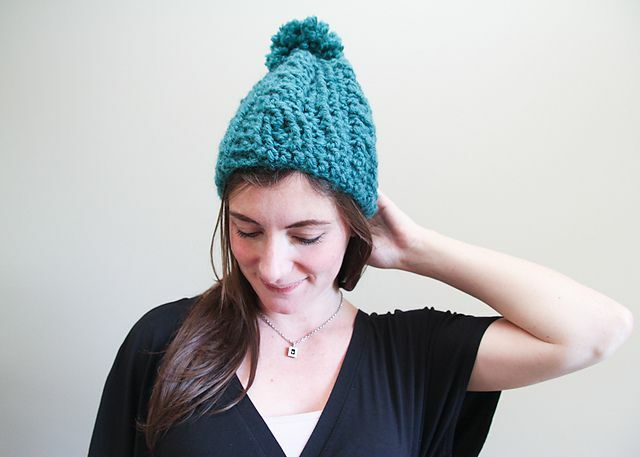 The hat is designed to fit teens and small adults. 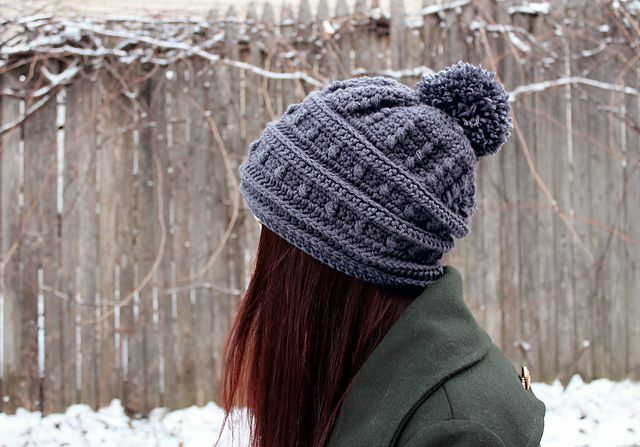 This crochet winter hat has a few things in common with some of the other designs featured here. It is a crochet slouch hat made with chunky yarn and topped off with an (optional) pom pom. However, the stitches that are used here create ribbing that goes vertically, in contrast to the horizontal ribbing often seen on crochet hats, and this gives an elongated, elegant look to the design. The trapper hat has a rugged look that evokes the feeling of winter outdoors. How many times have you seen that type of hat recreated in crochet? Not many, for sure, but this is a terrific example of how great a hat like that can look. The faux fur on this free crochet hat pattern keeps you very warm in winter. Are you having one of those days when you need to hide a little bit from the world but also want to present an image of glamour? 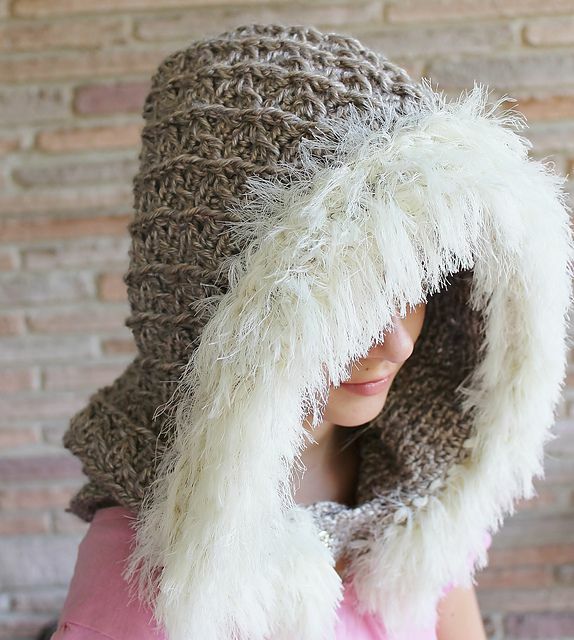 This crochet hood (a hat alternative) is perfect for you. It is also perfect if you just need something to keep you warm on a windy winter day. The detail on this design is superb, with cables making great texture across the top and forming a winter tree branch design on the back. The pattern is written for teens / small adults with instructions for easy re-sizing as…MORE needed.